Published June 17, 2016 at 640 × 480 in Northwoods is a Dog’s Paradise. 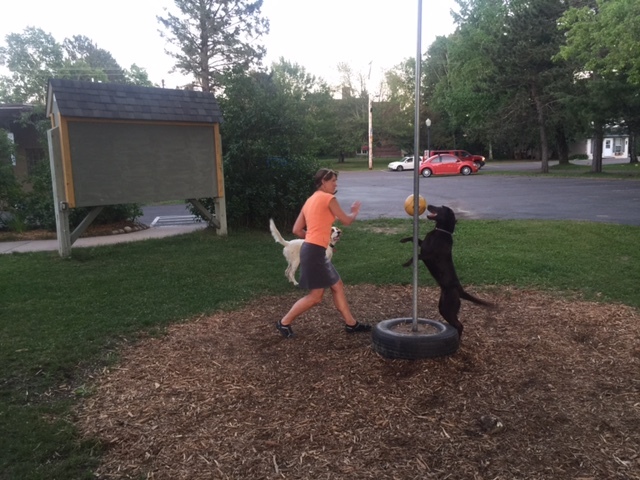 Tessie playing tetherball with Beth. Tucker didn’t know what to make of it.